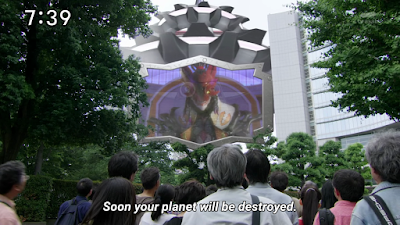 Kyuranger is getting intense for me. Last week was a bit silly though Scorpio himself now has his plans to assassinate Don Armage. Stinger still feels the guilt (and we see Champ still being repaired) for what happened. 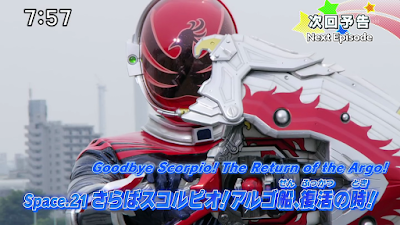 Scorpio resigns from the Kyurangers in a mission to set things straight. Worse, he uses a dangerous technique called Antares. I find this to be nightmare fuel. 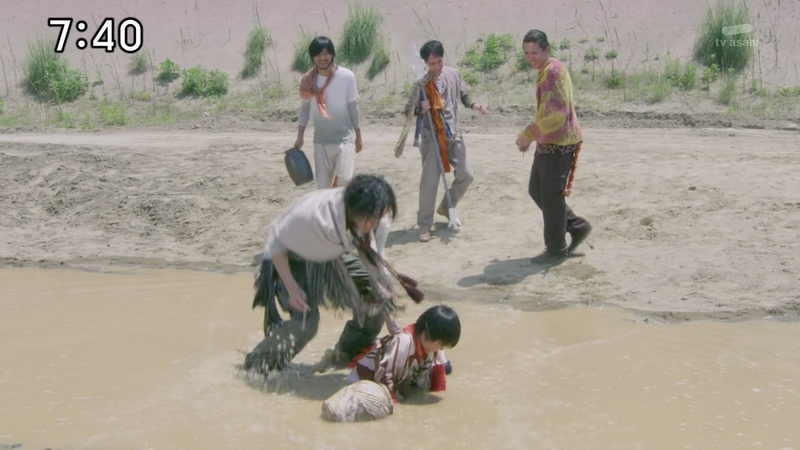 True older Super Sentai had some nightmare fuel. This one took advantage of the digital age's technology to put at least some of it. 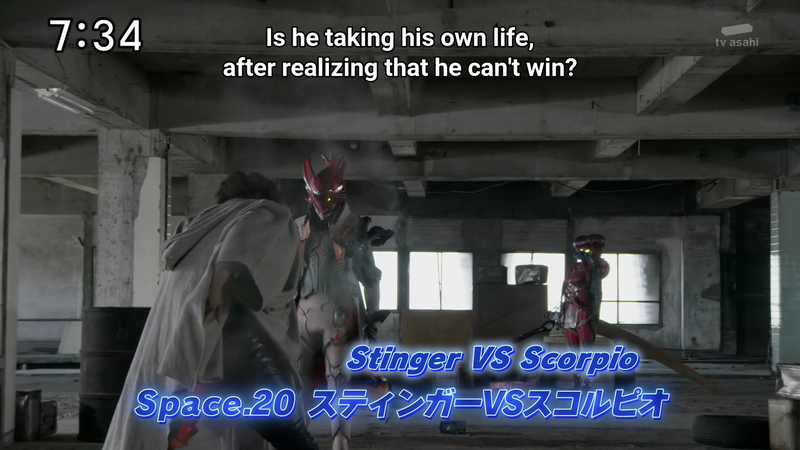 Stinger goes crazy and tries to kill his evil older brother to redeem himself. More Consumarz arrive on Earth. So why in the world would Don Armage want to destroy Earth? Come on, didn't Space 18 show that Kyuranger is an entirely different Universe? I just assume until now that Don Armage is from Earth. I guess all his dark secrets are hidden there including how he could be destroyed. Anyway, Scorpio proceeds to manipulate the public. I hate to admit it but I wanted to cry at the flashbacks. Stinger once saw a dependable man in Scorpio but it ended up differently. Scorpio uses his venom to turn Stinger into his brutal enforcer. What really sickens me is how families break apart like this in real life. Is it me or is society really screwed up? 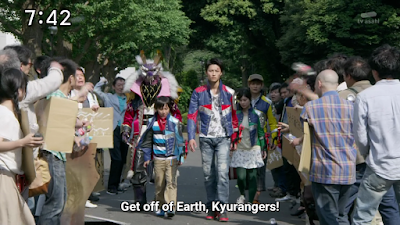 The citizens of Earth blame the Kyurangers for their troubles. This reminds me of the Megaranger finale arc when Dr. Hinelar tried to use the worst of humanity to destroy the Megarangers. 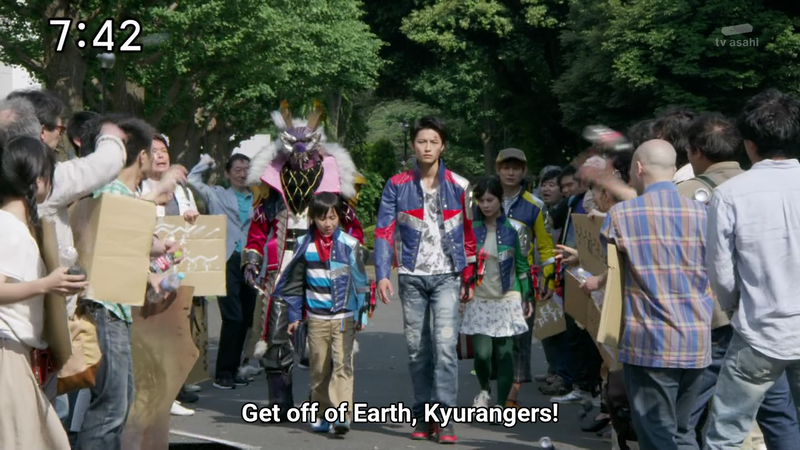 The Kyurangers still remain strong even when society thinks they're the cause of trouble to why Earth will be destroyed. Seeing Kotaro improve after his training was fun to watch. 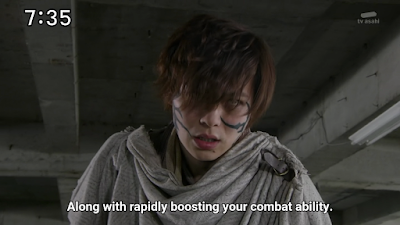 He develops a connection with Stinger. Kotaro administers the antidote to Stinger even if it's quite a risky move. 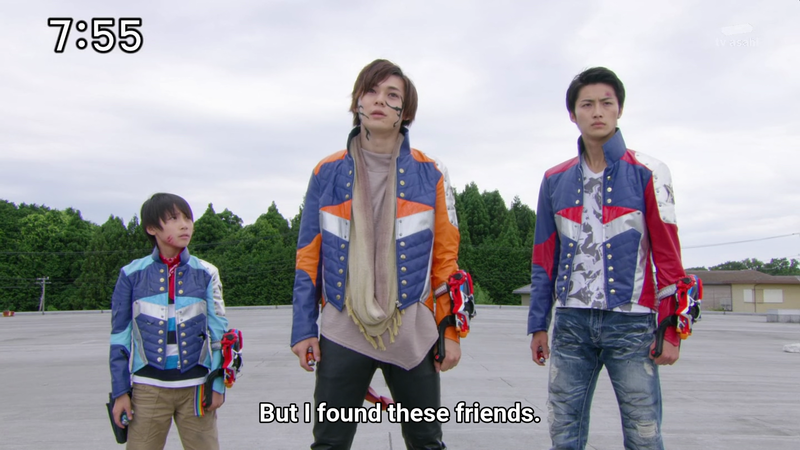 Stinger and Kotaro form a sibling bond of sorts which proves to be closer than blood brothers. The episode is left with a cliffhanger though. Next week, it's confirmed that Scorpio is dead and the 12th warrior called Houou Soldier appears. I'll just have to wait until next week to comment on the new warrior. With the Argo returning, I wonder what new arc will we soon have? When will Don Armage start becoming more active than just giving orders behind the scenes? I can't wait to see it by next week.